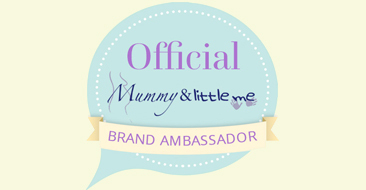 I have been mindful of having a healthier 2018, we will be bringing you lots of top tips, product recommendations and reviews, so watch this space. 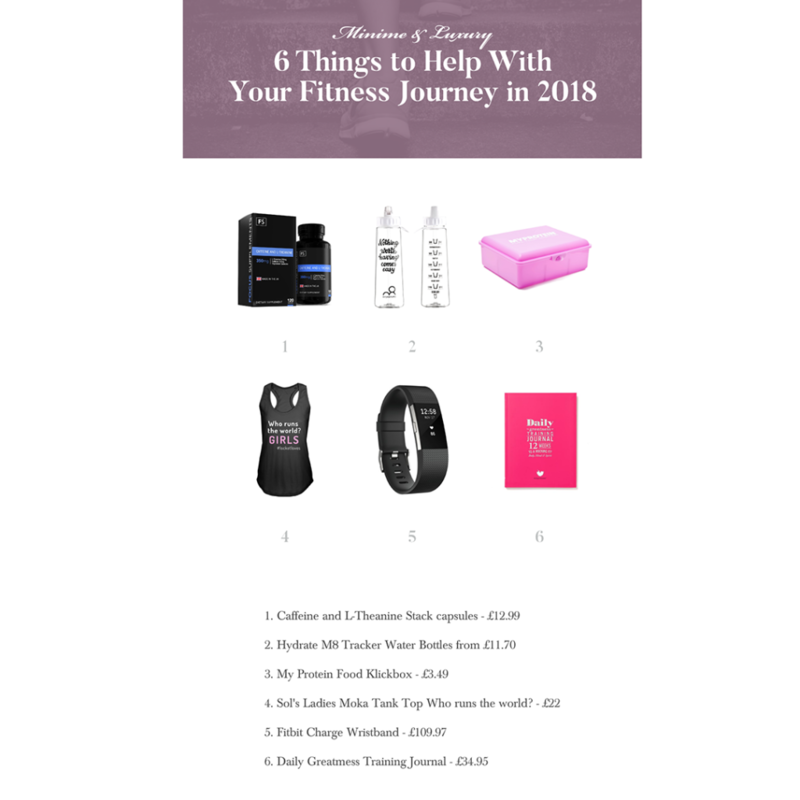 Here are my top 6 things to help with your fitness journey in 2018. 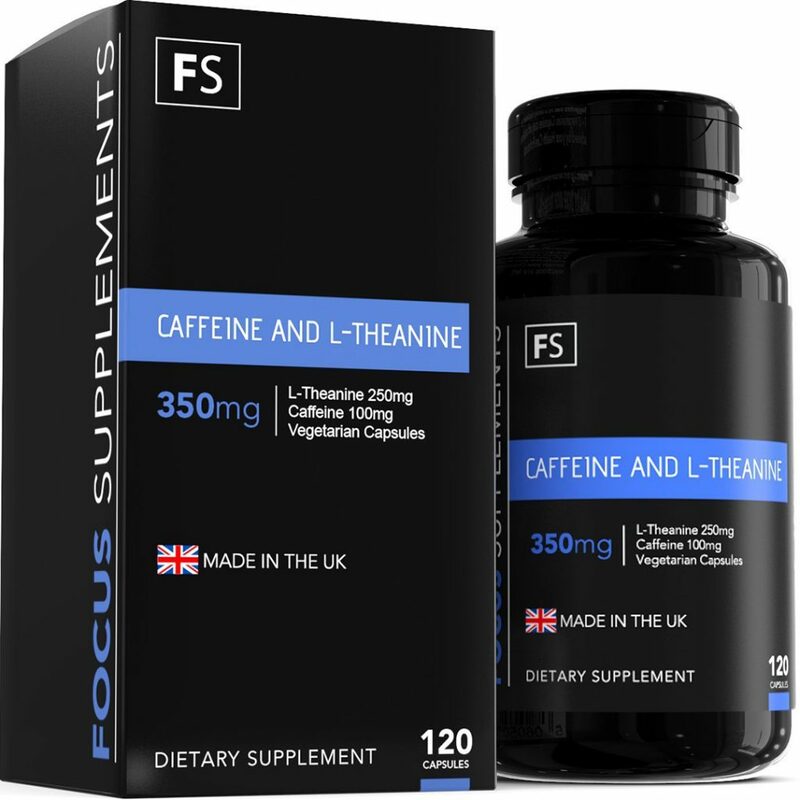 Caffeine and L-Theanine Stack Capsules – £12.99. 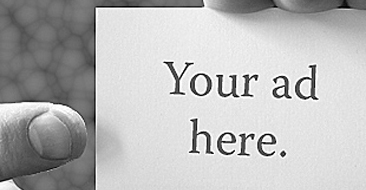 Do you need relaxed focus? Caffeine and L-Theanine work together to improve your focus and energy while introducing a feeling of calmness. I have been taking this supplement for almost a month now and they have really helped me with my 3pm afternoon energy dip. 2. HydrateM8 Tracker Water Bottles – from £11.70- I am known for my Diet Coke obsession, this handy water tracker has been a lifesaver, it’s been years since I have drunk water on a regular basis and this funky bottle is keeping me on track. 3. MyProtein Food KlickBox – from £3.49. 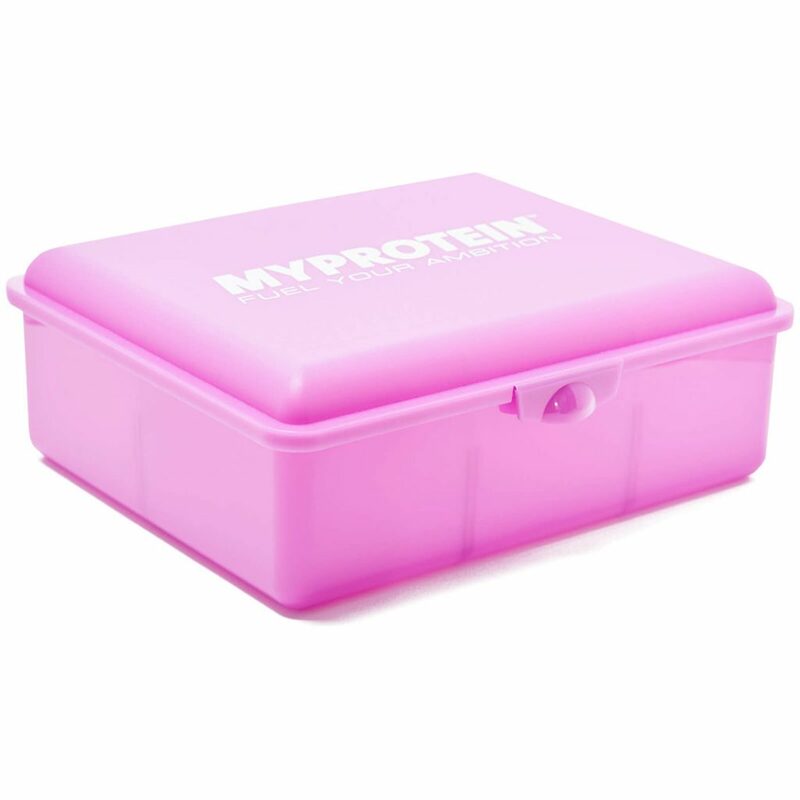 I am a huge fan of My Protein and the wide range of products they stock, I fell in love with the pink lunchbox – perfect for me to start prepping my lunch instead of popping out to the sandwich shop. 4. Sol’s Ladies Moka Tank Top Who runs the world? 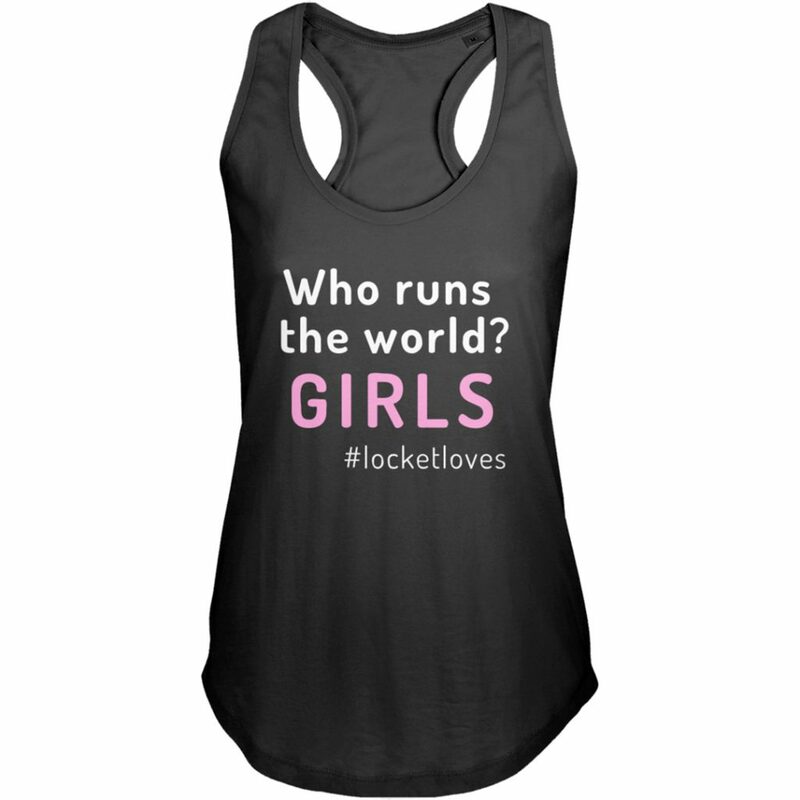 GIRLS #locketloves – £22. This 100% combed ringspun cotton tank top is loose fitting with a racer back style with a fab motivating slogan. 5. 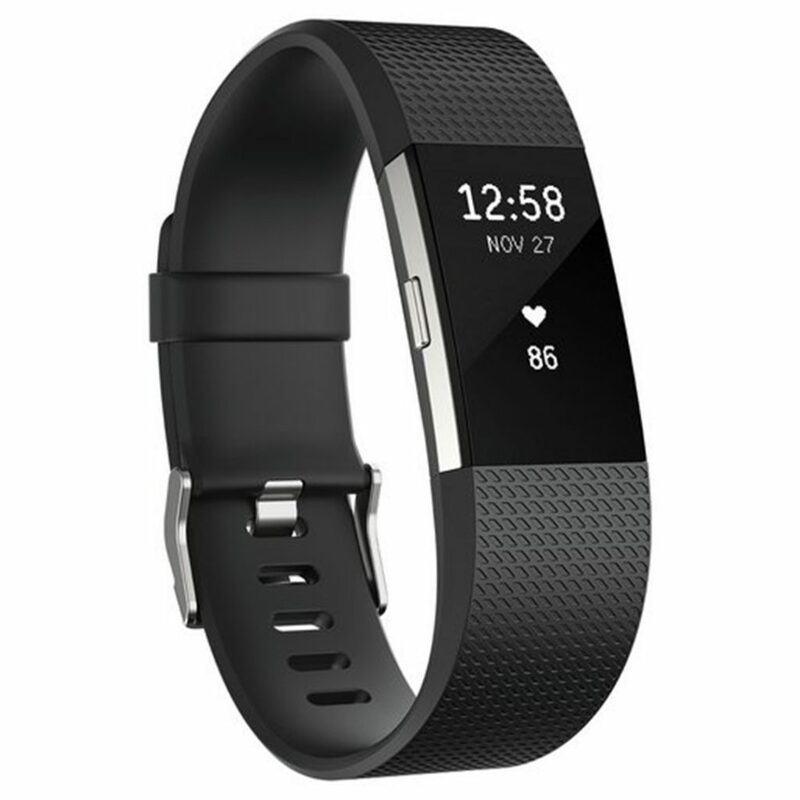 Fitbit Charge 2hr Wristband – £109.99. Make every beat count with Fitbit Charge 2™ the all-new heart rate and fitness wristband. Maximize workouts with PurePulse heart rate, multi-sport modes and ConnectedGPS. Track all-day activity, exercise and sleep. 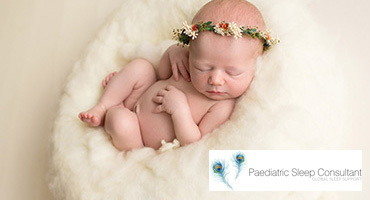 And make the most of your routine with smartphone notifications, reminders to move and guided breathing sessions. 6. Dailygreatness Fitness Journal – £34.95. 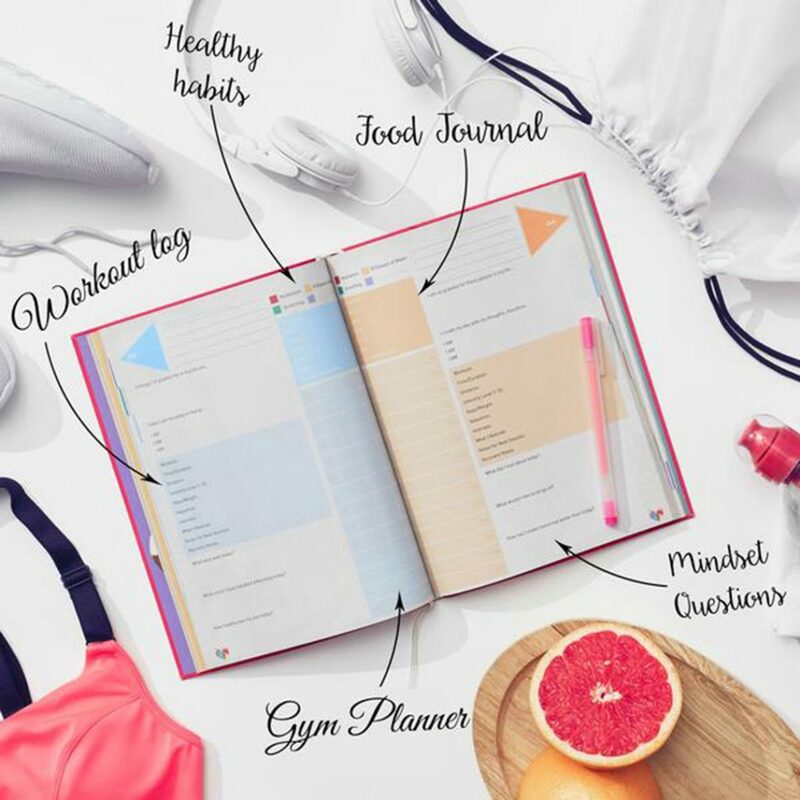 The Dailygreatness Training Journal – 12 Weeks To A Rocking Fit Body & Mind is the ultimate holistic training guide for women designed to help you achieve your fitness goals. It looks great too. *Prices are correct as of January 2018.